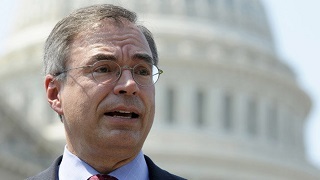 Andy began serving as the Congressman from the beautiful First Congressional District of Maryland in 2011. He serves on the Committee on Appropriations and on the following subcommittees: Agriculture, Rural Development, Food and Drug Administration, and Related Agencies; Labor, Health and Human Services, Education, and Related Agencies; and Homeland Security. In his free time, he enjoys spending time on the Chesapeake Bay with his family, and repairing old cars with his sons.